Can you believe it is the start of a new week already? YIKES!!! 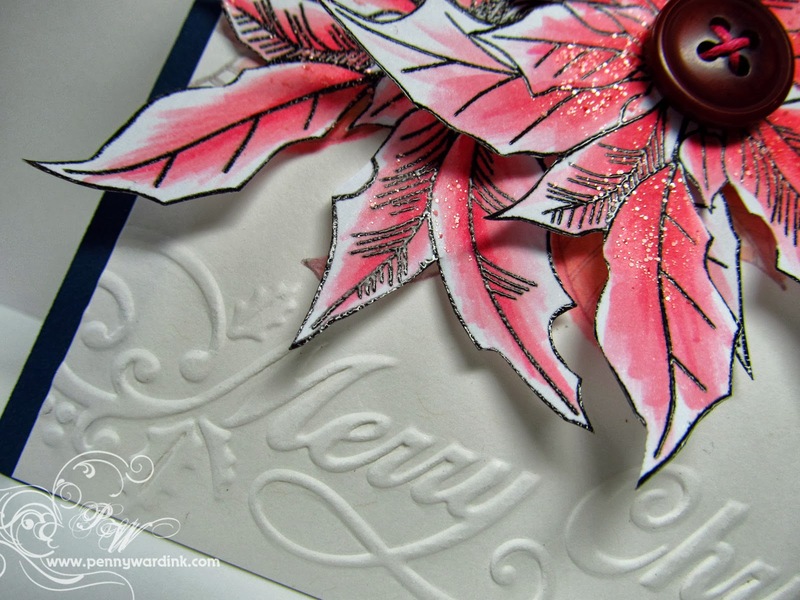 I have embossed the main panel with the sentiment (Merry Christmas edge by Darice), and added Navy card stock strips along the sides. The pink Poinsettia is Warm Wishes by Penny Black. Stamped and fussy cut two times. (YAY me... my holiday stamps from Penny Black arrived) !!! Oh, this takes my breath away!! That flower is gorgeous the way you have used it. And that Merry Christmas border ... priceless!! Such an elegant card! 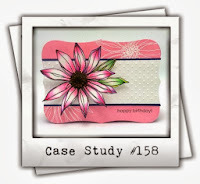 Thanks for joining us at CASE Study this week! Oh my goodness--so elegant & beautiful! 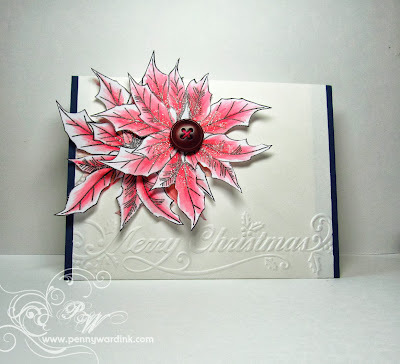 Gorgeous Christmas card! I wish could get the new PB in Australia - we have to wait a bit and not everything is available. 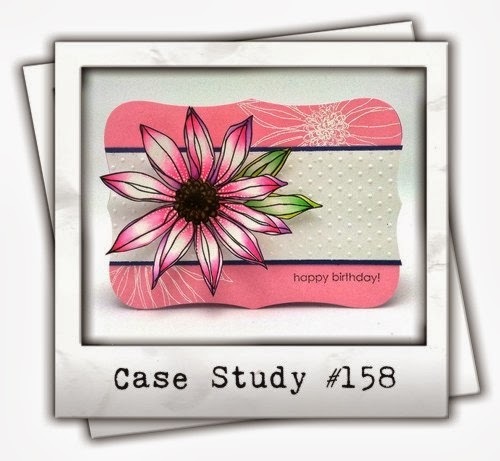 beautiful card, penny... love how you used that PB stamp!